Even more importantly, Harvard University allows students to choose among a number of proper pronouns on their registration forms. With such options as ze and they, the university has made real progress in this area. While society is struggling with the choice of universal identifying pronouns, students still have to accomplish lots of academic writing. And with any academic work, it’s essential to stick to rules and norms, even under constantly changing conditions. That’s why you may want to read this article and discover the different pronouns that people use in the English language to express the neutral gender. Oftentimes when you’re completing academic writing, especially essays, you need to use pronouns. 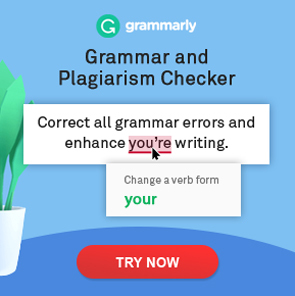 In academic writing, the use of the word you is unacceptable—which is why you may find yourself in a sticky situation. For example, let’s say that your goal is to talk about animal welfare. You begin with: “Once a person adopts a pet...” And here comes the trouble right away. “He,” “she,” “they”—which one should you use? Are there any neutral pronouns? Or is it necessary to rewrite the sentence altogether? There are several typical uses of pronouns in such cases. When one decides to grow a beard, he should prepare to spend some money. On Mother’s Day, every woman gets a discount on her favorite cosmetics brand. Once a person adopts a pet, he or she should fill out a document. Once a person adopts a pet, s/he should fill out a document. Once a person adopts a pet, they should fill out a document. The last option is the most popular. It is called the “singular they” and is used in connection with the singular person. It was already in use in the late 1300s, and now it has gotten its popularity back. In most situations today, it seems more tolerant to use they. By using only masculine or feminine pronouns, you might offend a non-binary person (someone who doesn’t associate themselves with male or female genders exclusively). That’s why the singular they is an optimal choice for academic or any other type of writing. Moreover, it’s more compact and comfortable to pronounce—you don’t have to list both female and male pronouns. Are there any other non-gender pronouns? And, honestly, there’s a whole gender neutral pronoun list—with lots of options to choose from. There’s been a long history to the development of neutral pronouns. Thanks to the help of LGBT society, we now have a nice list of them. And you can read them right now! Who knows—maybe in just a year or two, we will all be using one of these options. This is just a short personal pronouns list, but there are many more examples. You can find all of them online. If you’re interested in seeing these words in action, here are some examples of Alice in Wonderland with the pronouns changed to some of those mentioned above. But if there are so many variants, why do we still not use any of them? The main reason lies in the lack of unity between the supporters of gender neutral pronouns. Because there are so many options, society hasn’t settled on just one of them. Moreover, new variants are constantly being developed. Because people haven’t stuck to one option, it’s been difficult to try to popularize any of them. However, a couple of variants have been more successful than others. We’re going to discuss them in the next section. You can see from any pronoun chart just how many gender pronouns appear every year. Still, we have two main options (not including they) that have made enormous progress. The pronoun thon appeared in the late 1800s. It is a contraction of the phrase “that one” and was first offered by an American attorney. In the 20th century, this pronoun was actively used, even by periodicals. Later it was added to the Funk and Wagnalls Dictionary and the Merriam-Webster Dictionary. Then, it found its way into several other dictionaries. Thon asked for help, and I showed thon the way. When making a camp, thon should beware of wild animals. When thon sister is upset, thon always supports thon. It was a popular word for a time. But then it came to light that not many people accepted this idea. The most significant reason for this was the similarity of the various word forms. This confusion with forms kept thon from becoming a universally accepted decision. In this way, the singular they was much better. There was a surprising piece of news recently. It claimed that Oxford University insisted on its students using the pronoun ze instead of anything else. Although later Oxford University revealed that this was not true, the popularity of this transgender pronoun has grown. A lot of people use this pronoun in everyday life, but there are still a lot of battles to be won. For example, PinkNews has noted that journalists are banned from using ze in reports. The Associated Press Stylebook forbids journalists from using xe, ze, and other transgender pronouns. According to their ideas, the usage of these words can confuse readers. While everyone knows about the singular they, not all are prepared for variations of genderless pronouns. As long as it’s the newspapers’ duty to clarify things, it’s not a great choice to confuse people by adding new terminology. That’s why the use of the singular they has become more and more popular. The rules of journalism can also help academic writers decide which third-person pronoun to use in their papers. As long as the AP Stylebook is a trusted source, students can apply their rules to any essay, report, or dissertation writing. There is a lengthy personal pronouns chart to choose from. It grows every year and includes many variants of neutral pronouns. The main hindrance to the acceptance of a universal gender-neutral pronoun is the lack of unity between supporters of LGBT pronouns. Many organizations do accept the use of transgender pronouns (universities, social media platforms, etc.). There have been several hopeful attempts at gender-neutral pronouns (ze, thon), but society didn’t accept them after all. The Associated Press Stylebook has accepted the use of the singular they. Gender neutral pronouns is a topic that is changing a lot all the time. That’s why you may have a lot of questions. Custom-writing.org has collected the most frequently asked questions to give you the newest information on the topic. You can often hear this phrase from LGBT supporters. But what does it mean? Gender neutral means something that is related to both genders: female and male. The goal of gender neutrality is to avoid discrimination, and the main idea is to eliminate all the differences between the genders. We know that there are two genders: male and female. But non-binary is a term used to describe those who aren’t male or female or who are both male and female. It’s important to remember that you can’t always identify someone else’s gender. Neither their appearance, behavior, nor sexual orientation are reliable signs of gender. That’s why you should be careful when choosing the words you use to describe people. Many supporters of gender-neutral expression write on social media something like, “Ask me about my pronouns.” Pay attention to such appeals. What is a third person pronoun? A third-person pronoun is a word that is used to talk about another person. For example, she, he, and they are typical examples of third-person pronouns. Why do we use pronouns? What does a pronoun do? Pronouns are the essential part of almost any language. They are used to take the place of a noun. Ze is a popular genderqueer pronoun that is widely used in the English language all around the world. It was one of the most successful attempts to accept a universal pronoun for non-binary people. Although thousands of people identify themselves with this pronoun, the AP Stylebook doesn’t let journalists use ze. It is preferred to use the singular they instead. Jimmy and Tom stayed in the class until 4 PM. They worked on a project. One should complete their studies before dinner. Singular they is a gender-neutral pronoun that is officially accepted by many institutions. In academic and juridical writing, it’s stylistically correct to use the singular they when talking about people. They opened the door and came into the room. He/she is a typical use of a third-person word. It is often used in academic writing to show that the author doesn’t know the gender of a person. No, people isn’t a pronoun. It is a noun. You can find actual pronouns here (transgender ones are included). Nowadays, as society accepts the idea of non-binary gender orientation, everyone is free to choose the pronoun that they associate themselves with. The pronoun they choose would be their preferred pronoun. What about Ms., Mrs., and Mr.? Are there gender-neutral options for those? This is an important question. How can we talk about gender neutrality if every letter we write must be ended with a binary word: miss, missus, or mister? This is also something that feminists are fighting against. These titles not only show gender but also reveal the marital status of a woman, which is unnecessary information in most any form of communication. There are a lot of supporters of eliminating these titles. That’s why several new titles have been proposed. Ms.—it’s a female title to add before a woman’s surname. It doesn’t show marital status but does sound respectful. This title was later developed into Mx.—a version that was created for gender-neutrality purposes. Many LGBT members of society use this title regardless of whether the person they’re writing to asked for this title or not. The AP Stylebook is a stylistic guide that contains grammar and punctuation rules. It was developed by journalists for other writers and includes editorial commentaries on terminology, photo captions, formatting, and bibliographies. In this article, you learned about the modern ways of using third-person pronouns. Now you can distinguish between gender-neutral pronouns in academic writing and communication. We also shared some facts about popular attempts to choose a single transgender pronoun. Custom-writing.org advises you to be careful when choosing pronouns to stay respectful and avoid hurting anyone’s feelings. You can recognize a pronoun by its goal in the sentence. Try to use the same pronouns that people identify themselves with.